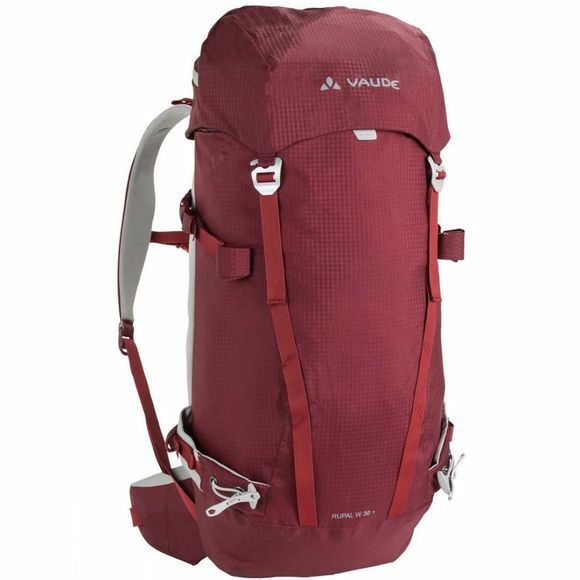 The Womens Rupal 30+ Rucksack from Vaude is One for all: versatile alpine backpack for long day tours and year-round use for climbing, mountaineering and ski touring. With a compact fit and excellent stability thanks to the full contact back (Synergy Mold Light with moldable aluminum frame). The ergonomic shoulder straps offer great freedom of movement in the shoulder area. The flat, short hipwings don't get in the way when you're climbing and wearing a harness. 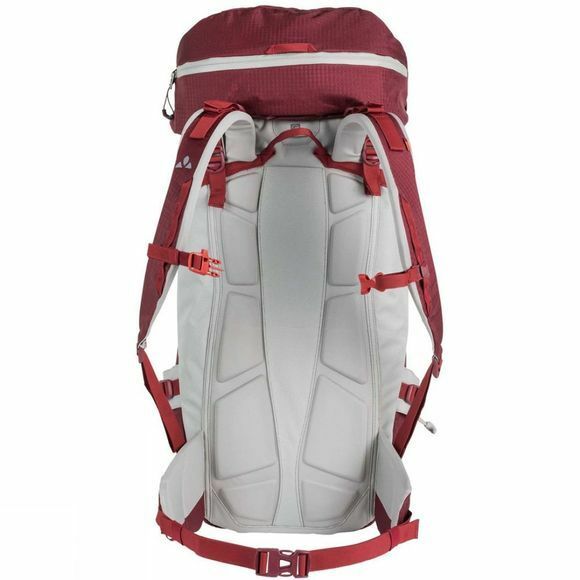 The touring backpack is distinguished by a sleek look without extra bells and whistles. The material is robust and exceptionally water repellent, the floor is waterproof thanks to taped seams. The height-adjustable lid offers cleverly compartmentalized storage space for fast access to your necessities.